Earlier this year we asked people to let us know where you would like two new dog poo bins to go. 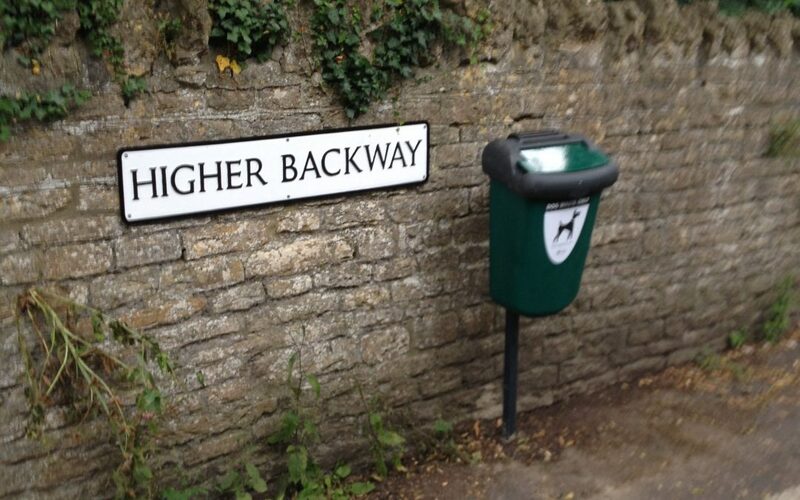 We agreed with South Somerset District Council (who empty the bins) that they should be placed in two of the most often mentioned sites: at the top of St Catherines Hill and by the bollards between Eastfield and Cuckoo Hill. The bins have now been purchased by the town council and installed. You may also have noticed that some of the local street signs disappeared a few weeks back. These are gradually being refurbished and re-installed by Bruton Community Partnership, and now look very smart. Please remember that if it is suitably bagged dog waste can also be placed in an ordinary litter bin.